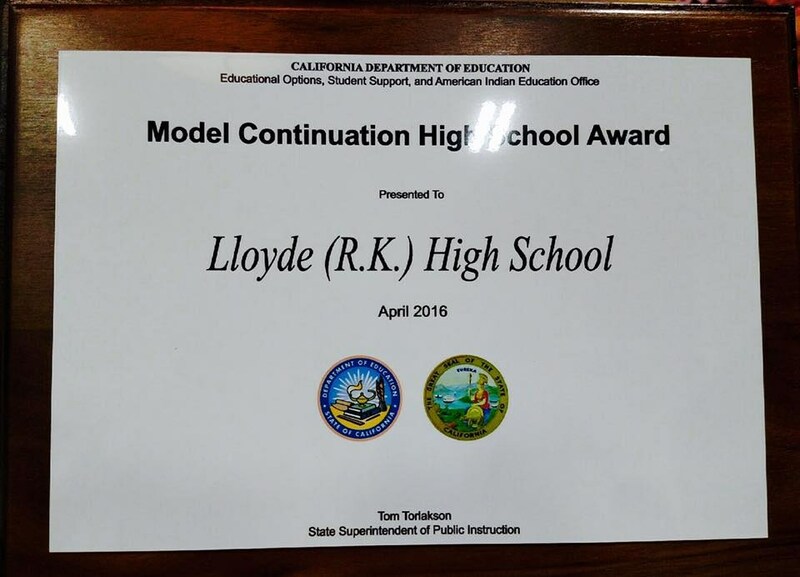 Lloyde High School was honored at the California Continuation Education Association (CCEA) Conference on April 29th for being named a 2016 Model Continuation School by State Superintendent of Public Instruction Tom Torlakson. The schools were recognized for their innovative teaching approaches that enable students with diverse needs to complete their high school education. 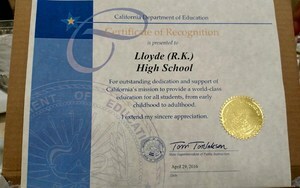 "I commend these schools for their exceptional work in keeping our students on the path to career and college readiness," Torlakson said. "Thanks to the guidance and support offered, our students leave with a high-quality education and the self-confidence required to build a better future." Continuation high schools meet the needs of students aged 16 years or older who have not graduated from high school, are at risk of not graduating, and are not exempt from compulsory school attendance. The minimum attendance is 15 hours per week or 180 minutes daily. Students benefit from the supplemental programs and services offered, such as independent study courses, career counseling, job placement, apprenticeships, and concurrent enrollment in community college. 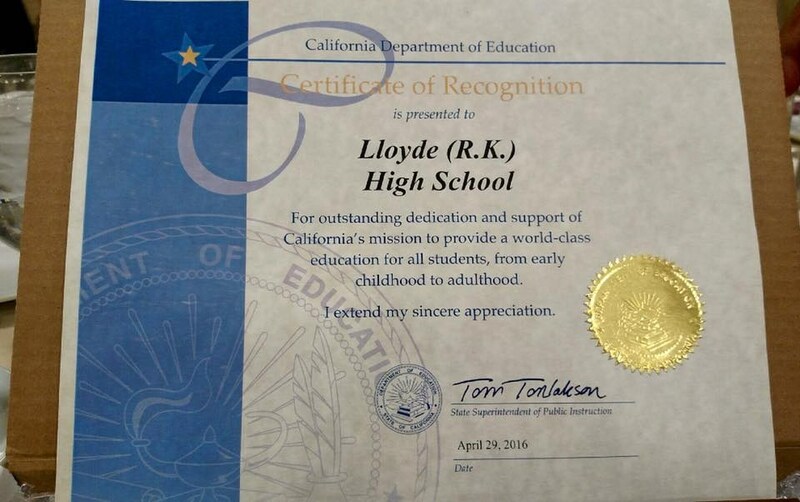 More than 60,000 students attended the state's 460 continuation high schools in the 2014–15 school year. 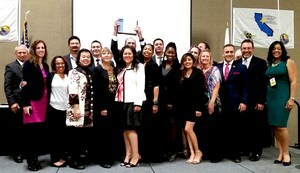 The 37 selected schools will retain their title for three years.